Holiday: Pemanggil Island at Mersing, Johor. 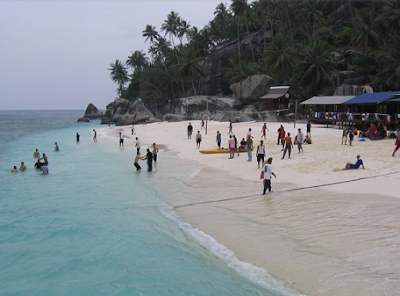 Pemanggil Island is an island located in the state of Johor. As the statement above, there is only one resort on the island. So, visitors have to call the administration of the resort to find out whether there is adequate accommodation for you or not. Lanting Beach Resort will provide their guests a great destination for saltwater fishing experience. The island is well known about its perfect location for fishing heavenly. 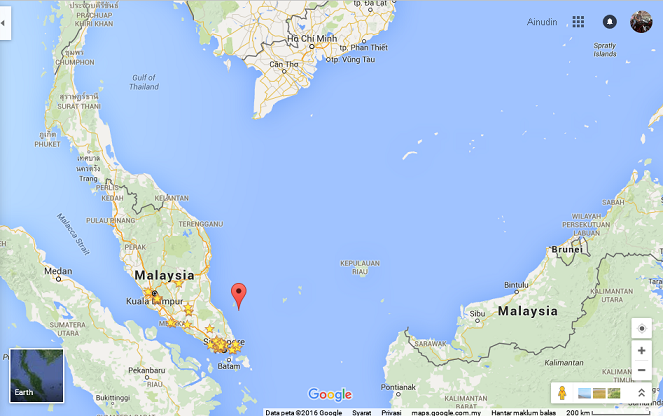 When talking about islands in Malaysia waters, most of us can easily name a few islands in Terengganu or Sabah. Do you know there are a few islands in Johor too? They are just as pretty as the famous Redang Island as well. For those who looking for a quiet holiday or seeking for a sea adventures will love Pemanggil Island as their next holiday vacation. Think about the beautiful sea views and the treasures underwater views it can offer. I’m sure that this island is the right spot for you to have perfect holiday. 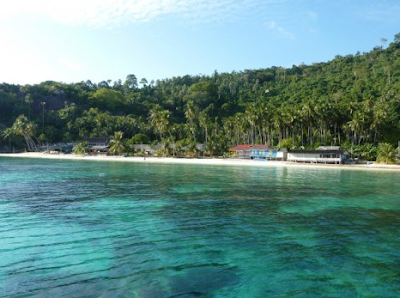 The tropical green of Pemanggil Island enchanting of those who love the sea and its calm environment. This island also famous for its magnificent garden of corals and beautiful fishing habitat. Pemanggil Island located about 45km to the East of Mersing. Mersing is the take-off point to most of the islands located at the Southern Eastern coast of Peninsular Malaysia. This island is just next to Tioman Island and requires about 4 to 4 hours boat ride from Mersing jetty. If you are driving by car from Kuala Lumpur, to get to Mersing City takes about 4 ½ hours in normal traffic condition or roughly 6 hours by Express Coach from Kuala Lumpur. 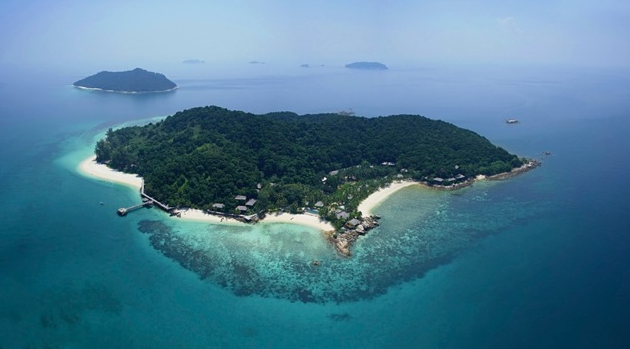 Most of inhabited islands in Malaysian waters got their own legend and history. Pemanggil Island has its fair share of mystery, history and quit spooky tales. From the beginning of human population at the mainland, this island has become a fishermen best-kept secret fishing location. It is known for an ideal deep-sea fishing area and good spot to catch for mackerels and marlins. This island is also famed for the beauty and abundance of marine life within its crystal clear waters. 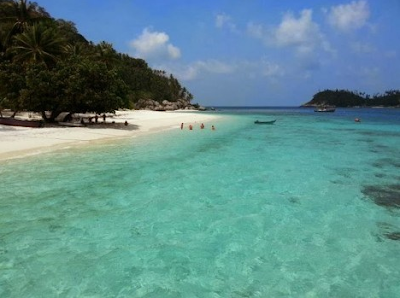 It’s one of the magnetic charms include the magnificent white sandy beaches and awesome snorkeling spots. Diving and fishing activities are very excellent to do it here. For those who like adventurous, the hill outcrop of the island can become a challenging climb spot and the summit will holds an inherent beautiful views of the far reaching ocean. Next, on the North Eastern coastal of Pemanggil Island is location of Teluk Lancang. It’s an isolated bay where a lot of coconut trees grow in wild inside the tropical vegetation. You can see there is a huge boulder known locally as 'Batu Buau' located at the center of the island which locals regard as sacred place. It can be seen far enough and is clearly visible in naked eyes as far 50km from the South of Tioman Island. Lanting Beach Resort is the only resort located on the Pemanggil Island. So, the island is not so crowded with visitors and lots of space to explore because it only permit a curtain amount of visitors to the island. The resort is a kind of ‘budget resort' and very suitable for visitors who love have an adventure holiday. The gorgeous view of this rocky and hilly resort is so breath taking and almost gaining a bird's eye view. On your way from your room to the dining area, you have to climb a very incline steep staircase. As you step in almost feel that you can’t touch the stairs with the whole of your foot while climbing it. When reaching at the top, you can see a display area where they put their collection of antiques items such as gramophone, antique radio set, watches, cameras and a lot more. Sports Provided and Recreational Facilities. Many of water sport facilities including snorkeling, canoeing, jet-skiing and deep water fishing. Boat tour surround the island where you can explore the nature and activities of the local villagers or simply picnic on the beautiful white sandy beaches. Don’t forget to bring your camera so you can keep the beautiful memories. Fun Indoor Activities and Outdoor Games. Free entry for indoor games such as monopoly, carom, dart, mah-jong, cards and ping-pong. They have plenty of tele match and beach volleyball for the outdoor games. In House Movie Theatre and Karaoke Systems. Karaoke sessions for those have talent in singing. You can also watch their in house movie theatre from Classic Film to the latest movie in the cinema. They also provide very nice collection for antique enthusiasts. You can come to see the wide collection of antiques items taken from the ASEAN regions. Items displayed from clay products to aircraft communication tools and a lot of household collections are available. Mawar Coffee Shop stands 50 feet above sea level provides a beautiful views of the sea front. The open dine concept offers the guest a picturesque sight while you dine on the local and western cuisine as well. - Our Mawar Café offers an intimate dining option for couples. - Enjoy savory local dish and delicious western dish servings. - Try the exciting BBQ at the beach. - Freash sea food and all kind of local menu. - In-house convenient store offers a wide range of daily need and variety of souvenirs. - Hiring Boat available upon request by the guests. - ‘Surau’ for Muslim Pray session. - The resort can accommodate for 110 persons in one time. - 2 Night accommodation at Beach Resort. - Welcome drink and snacks upon arrival. - Fishing at Jetty (exclude gear) or 1st day Snorkeling around Pemanggil Island. - Jungle tracking (additional RM50 for guide person and Min 6 pack per trip). - In house karaoke and movie. - Exciting in door and outdoor game. - Marine Park Conservation fee and Iskandar Tax. - Insurance and Personal Expenses. Check-in to rooms upon arrival and free for you to explore the island for the rest of the day. You may have an option to go swimming, snorkeling, fishing, canoeing or jet skiing. Lunch time buffet will be provide at 1.00pm. Free activities after lunch hours. Dinner will be provided at 8.00pm. Enjoy their in-house movie and karaoke after the dinner. You can spend all night long if you want. (Aur Island, Dayang Island and Lang Island Excursion). After breakfast (which will be provided at 8.00am), you will be taken on an island-hopping trip (additional MYR30.00/person). The trip will bring you to uninhibited islands, which is surrounded by beautiful white coral sands and undisturbed corals. You can do snorkeling or just have a sun bathing on the sand beach. The boat will anchor at a selected spot for you to try your luck for fishing. Packed lunch set will be provided (during picnic). After lunch hour, visitors will be taken back to the Beach Resort for more free activities. Get ready for exciting dinner and BBQ at the beach. Free activities for the rest of the evening with choice of karaoke and movies. Free activities after breakfast. Enjoy the last day on the island until you give bid farewell to this enchanting island by ferry. Reach the next destination or your home safely with sweet memories.